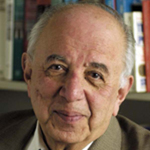 In this interview with Erin Dix, Minoo Adenwalla, Professor Emeritus of Government, discusses his time teaching at Lawrence beginning in 1959. Adenwalla, Minoo and Dix, Erin, "Interview with Minoo Adenwalla" (2016). Oral Histories. 40.